After four decades traversing the country in search of America's best food, Jane and Michael Stern know a thing or two about eating well on the road. The pair first met as grad students at Yale in 1970, and after they'd earned their diplomas, they decided to pursue their passion for food by hitting the road in search of the best America had to offer. 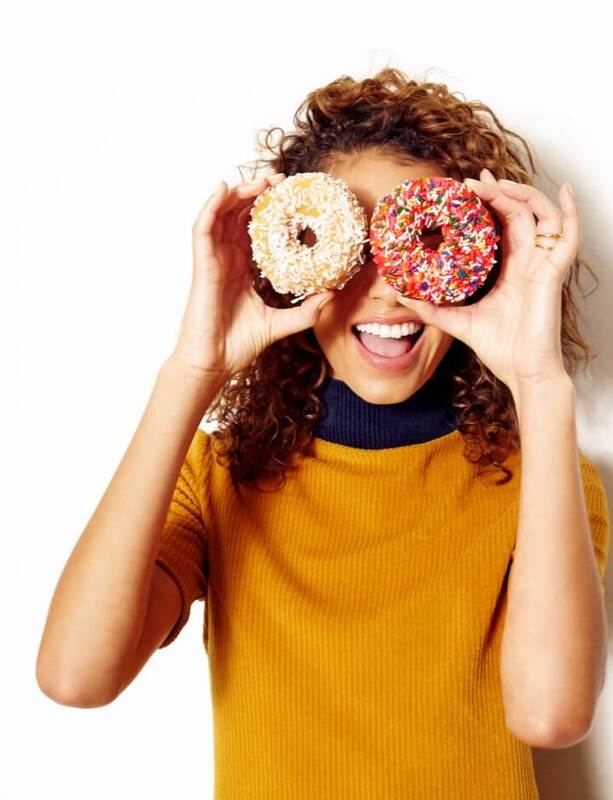 They captured the results in the revered, award-winning Roadfood books, which became the go-to, indispensable guides to the best bites along America's freeways and backroads alike. In 2017, the Sterns marked the series' 40th anniversary. 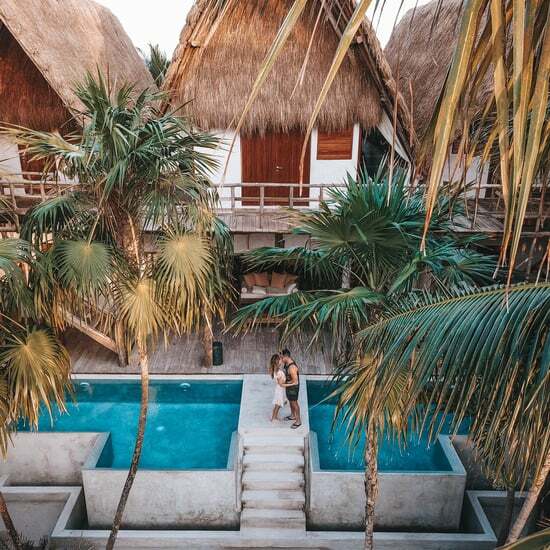 As lifelong road-trippers, the Sterns have a few pieces of tried-and-true advice when it comes to scoping out a worthy place to stop for a meal — and what to order once you do. "One (somewhat irrational) tip is to look for restaurants with giant statues of whatever it is they serve on the roof: a cow, a chicken, a crab," Michael says. Once you're seated? "Look around at other people's plates. If nine out of 10 customers are all eating the same thing, that's a good indication that there is at least one very alluring regional specialty on the menu." Before you hit the road this Summer, scope out the Stern's picks for the can't-miss food in every state — and visit Roadfood for even more of their enthusiastic expertise. A cool mix of fresh crab meat, vinegar, salt, pepper, and chopped sweet onion, a West Indies salad is both rich and piquant, a favorite appetizer or entree all around the Mobile Bay. 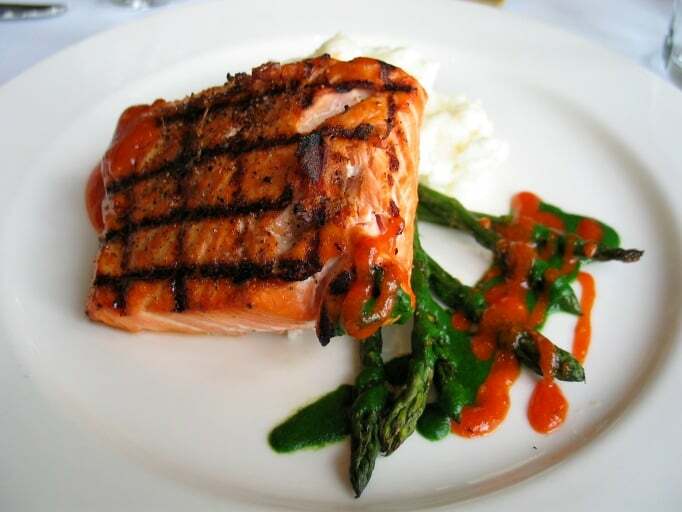 Alaska's most precious fish is the best of all the earth's salmons – pink, firm, and fatty, as luxurious as prime steak. 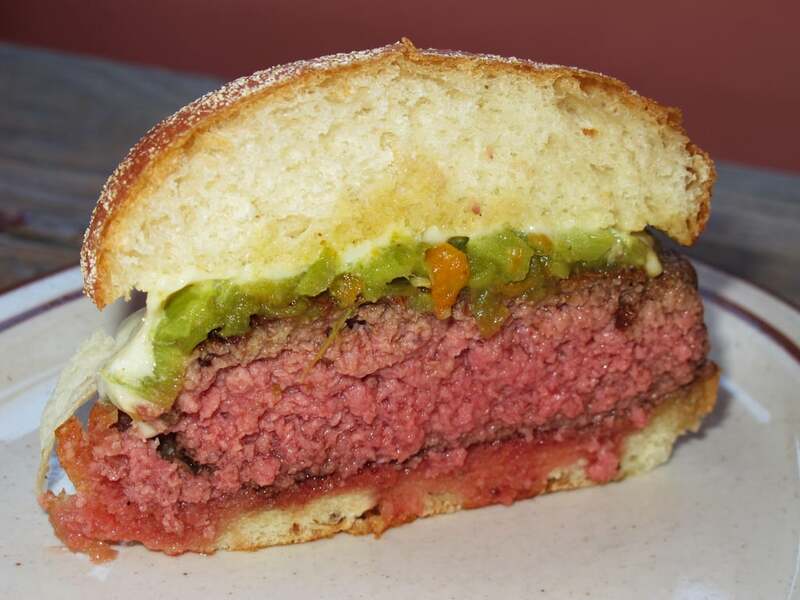 Tucson's favorite street food is a dizzying package. 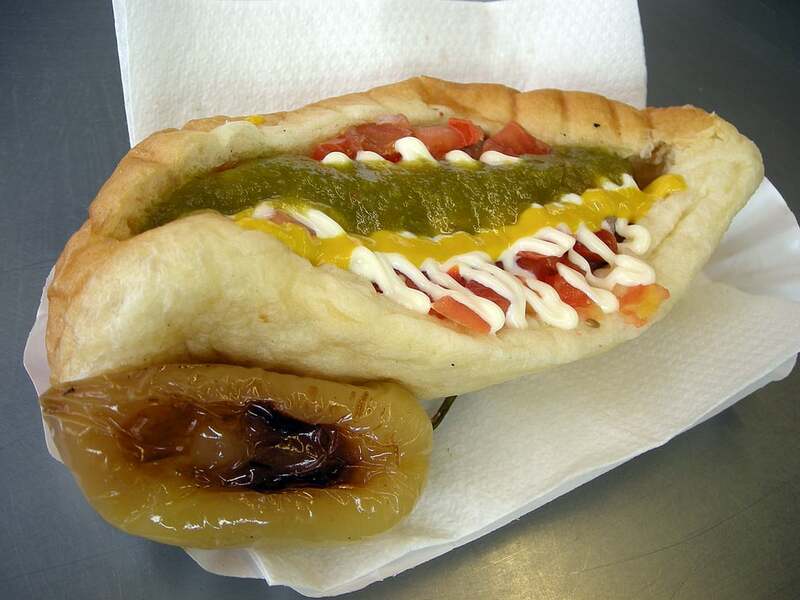 An all-beef frank, wrapped in bacon and grilled, gets garnished with pinto beans, chopped tomatoes, onions, mustard, hot jalapeño sauce, and a squiggle of mayonnaise, then planted in a big soft bun and sided by a mercilessly hot roasted pepper. 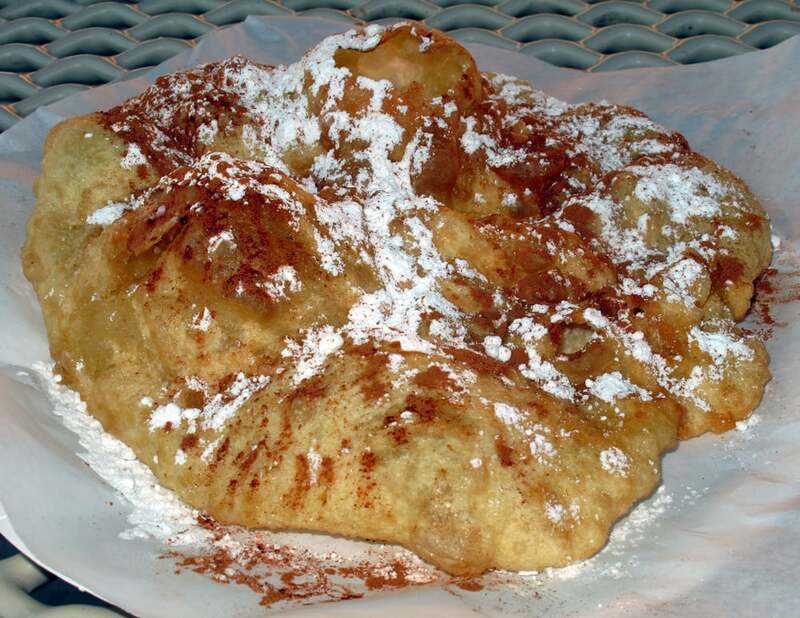 In the great pie state of Arkansas, fried pies are especially excellent. 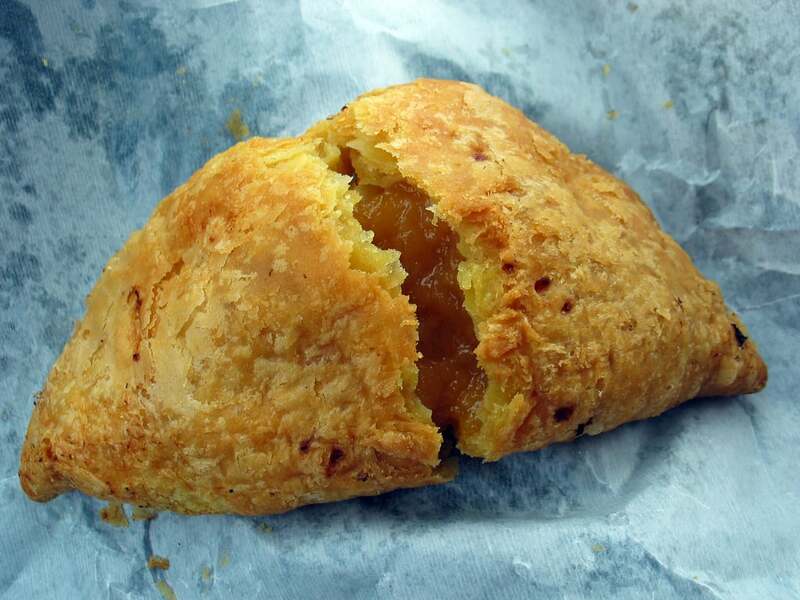 These are single-serving crescents of pie-crust pastry dough pinched around a load of cooked apple, peach, apricot, or sweet potato and deep fried until brittle. 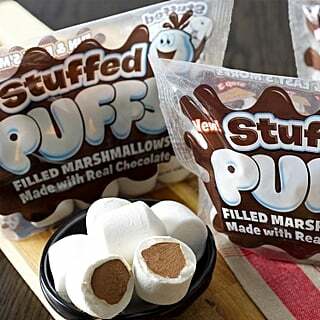 When cooled, they're easy to eat out of hand. 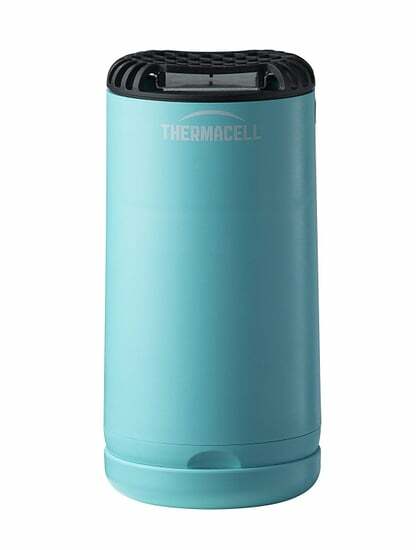 When still warm, they demand the a la mode treatment. 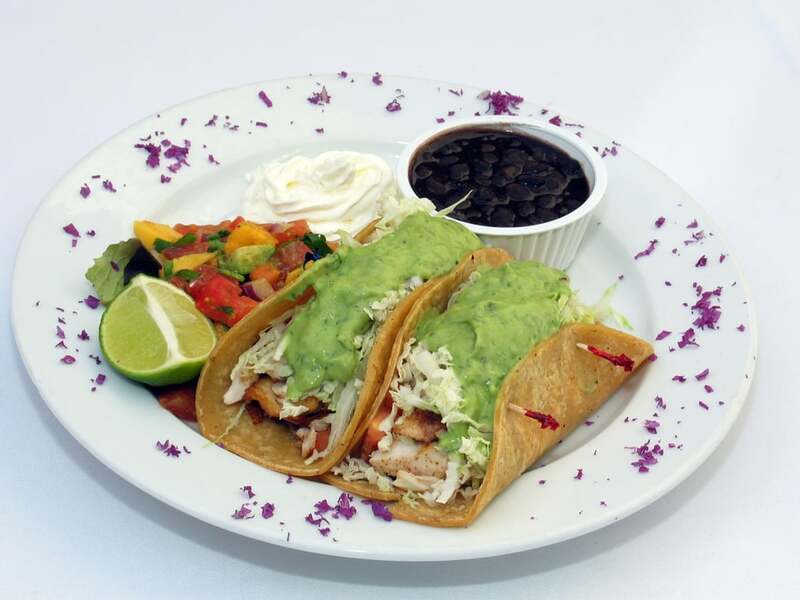 Fish tacos first got popular in the US in Southern California, close to their Baja roots. 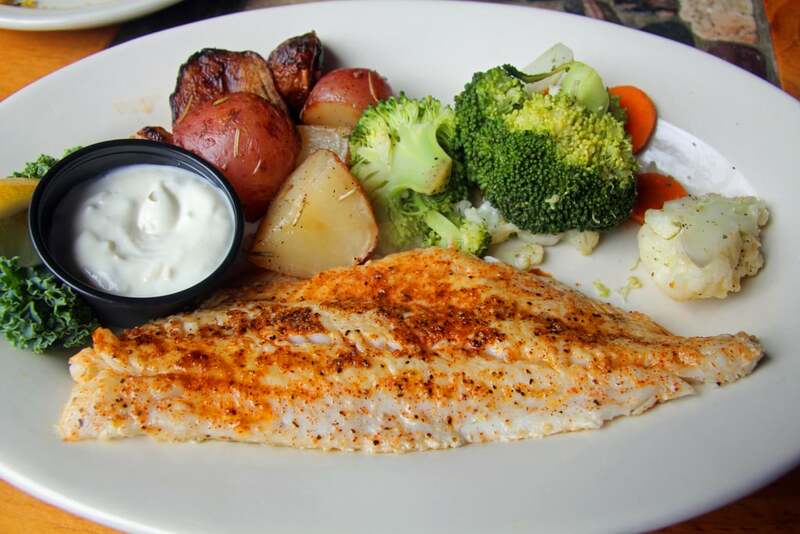 Today, the basic concept of fried (or grilled) fish with yogurt-mayonnaise sauce or an even zestier salsa has countless variations coast to coast; the best ones still are found in and around San Diego. Out of embarrassment, sexual panic, or a sense of humor, virtually no eater calls a testicle a testicle. 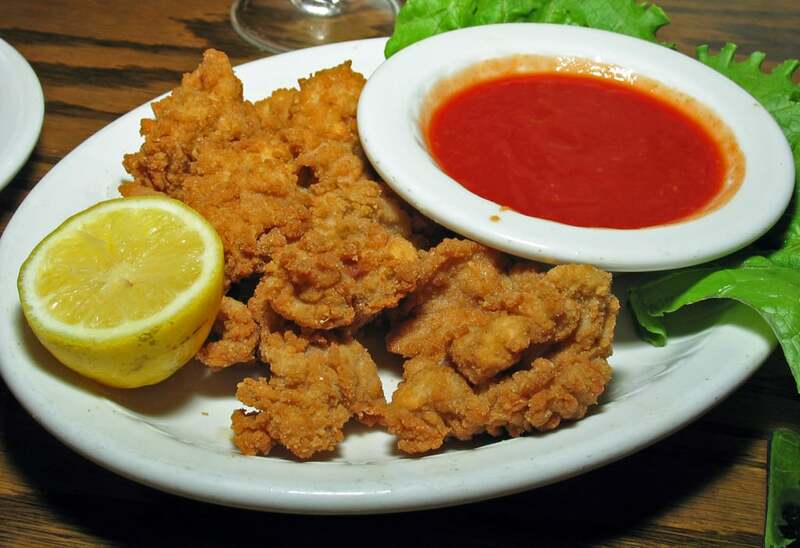 Whether harvested from a rooster, sheep, pig, or bull, edible balls go by such names as prairie oyster, calf fries, cowboy caviar, and – most popular – Rocky Mountain oysters. They're popular in diners and steak houses throughout Colorado. 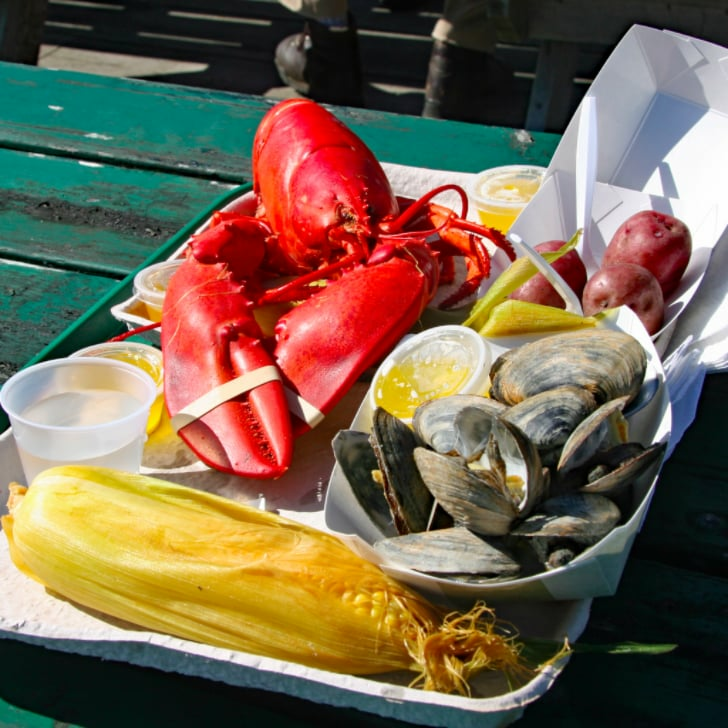 While Downeast lobster rolls tend to be cool lobster meat bound in mayonnaise, Connecticut's hot lobster roll is made of warm, buttered hunks of claw, tail, and knuckle loaded into a grilled split-top bun. 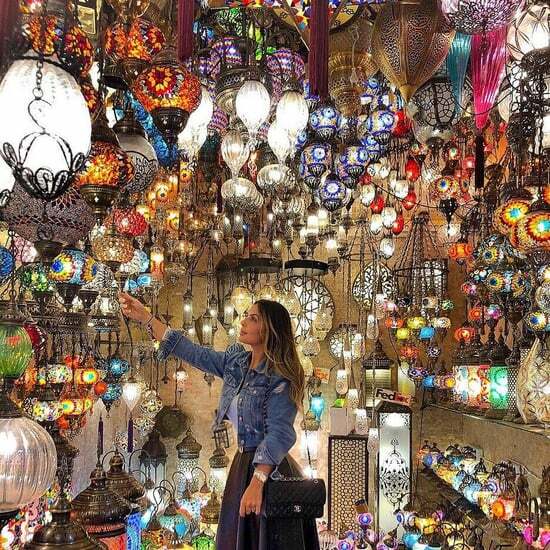 Sheer indulgence! 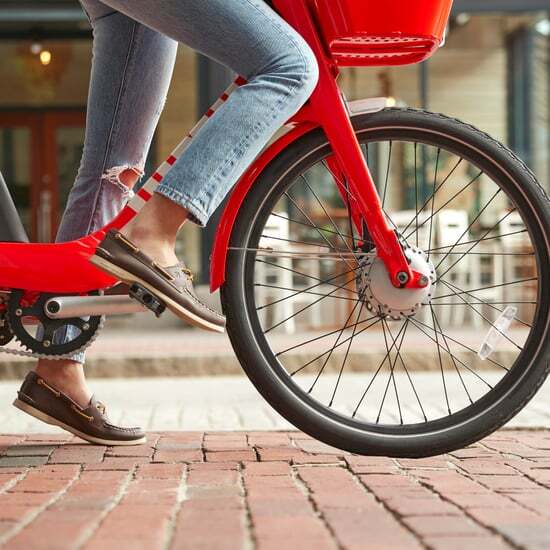 Thanks to a large population of Jersey cows, Delaware is an ice-cream-lover's delight, with several dairy farms offering made-on-premises, small-batch ice cream in flavors that range from vanilla and chocolate to butter brickle toffee, fresh fruit, and espresso coffee. 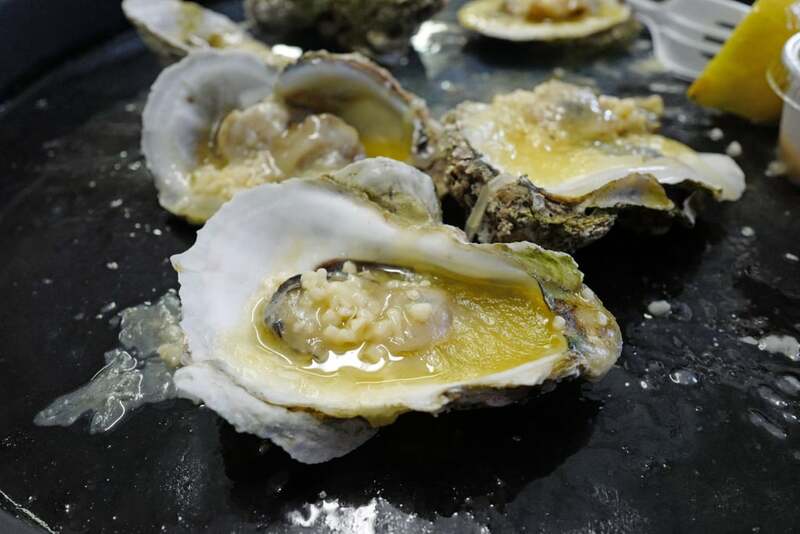 Deep-cupped Apalachicolas, glistening with oceanic liquor, are painfully tender, ocean-sweet, and overwhelmingly satisfying as they cool on the half shell. Or gild the lily by having them flash-baked in a plush veil of butter, parmesan cheese, and garlic. 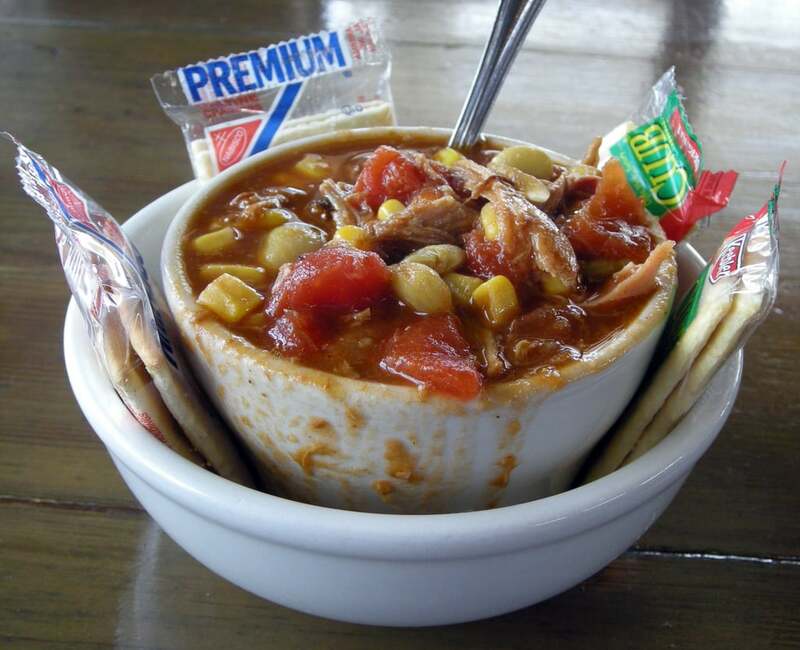 Brunswick stew includes corn, beans, and other veggies along with enough barbecued pork or chicken to give it smoky punch. 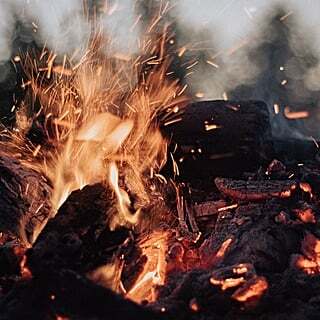 It is stout enough to be a meal (along with some cornbread), but its primary purpose is to accompany barbecued meats. 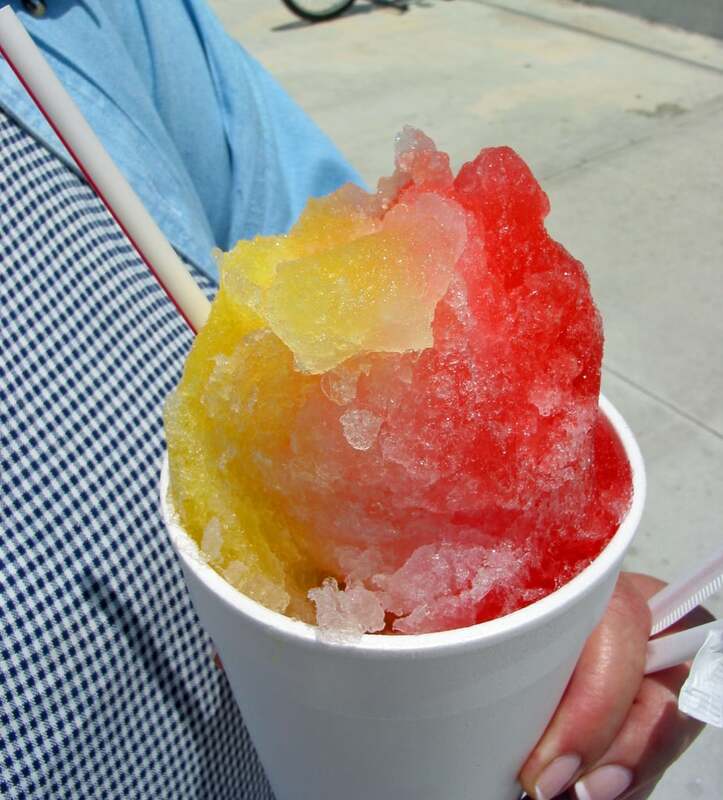 Hawaii's favorite hot-weather pick-me-up is as fluffy as freshly fallen snow – nothing like a crunchy snow cone. The soft ice sops in whatever flavors you choose and delivers such compelling refreshment that brain freeze is a near-certain side effect. 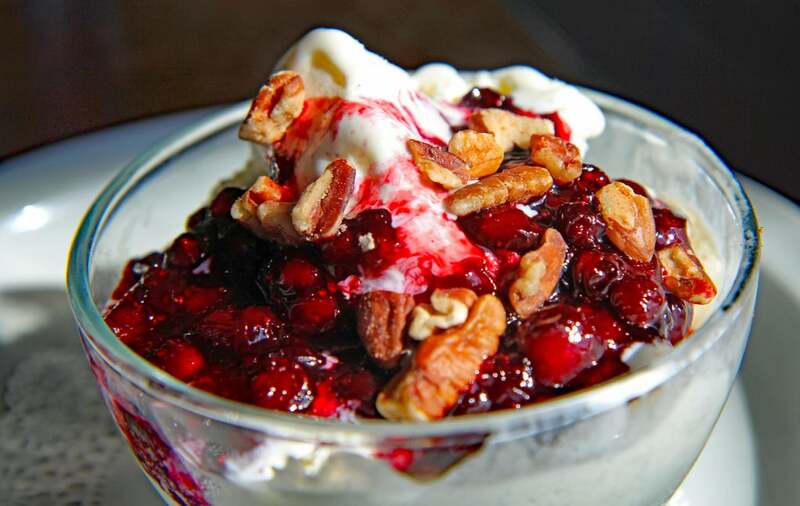 The northern Rockies are crazy for huckleberries, the late-Summer berries known for their intense burgundy color and deep flavor that is like blueberries squared. They are used for everything from pie filling to martini flavoring and are especially wonderful made into fruity sauce for ice cream. 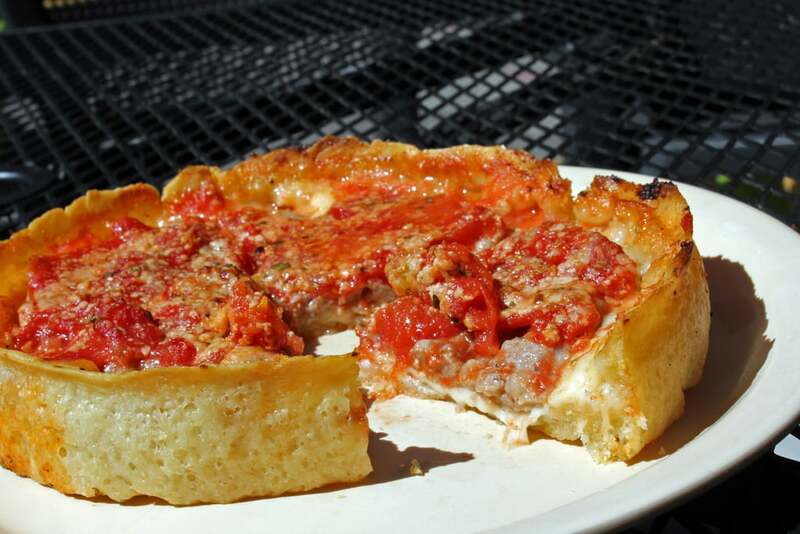 With its buttery biscuit crust, as fragile as savory shortbread, and its cheese crowned with great clumps of sausage which in turn are blanketed by chunky, crushed tomatoes, Chicago's deep dish pizza is more casserole than flatbread. 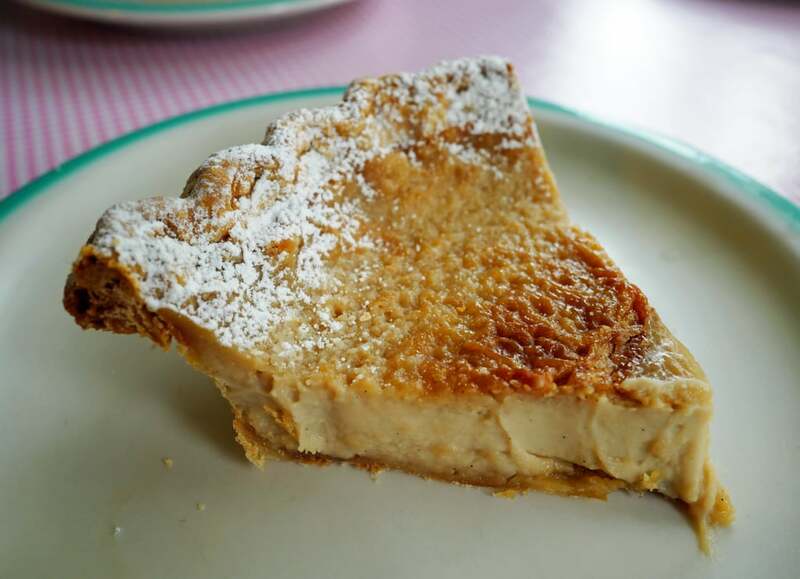 Indiana's official state pie is a less-is-more masterpiece of butter, sugar, and cream in a fragile crust – a Midwestern analog of dulce de leche, but richer. 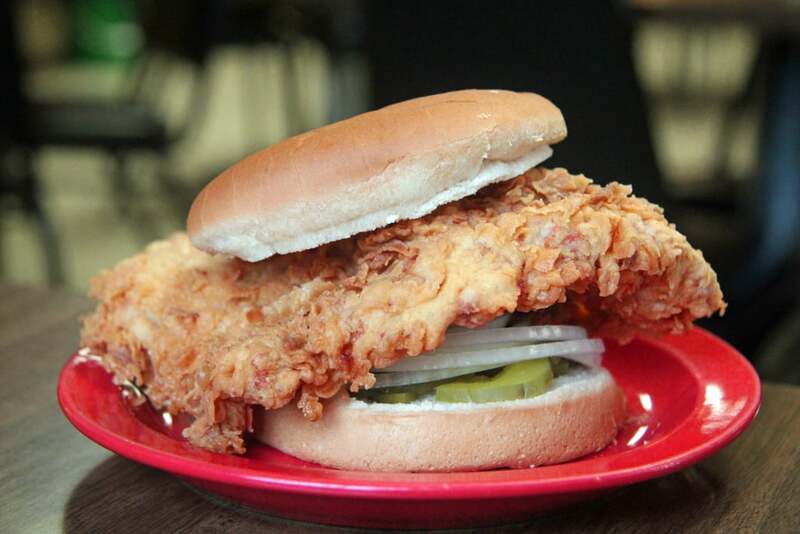 A breaded pork tenderloin is a bunned sandwich for which a slice of pork is pounded thin, breaded, and fried to a crisp, then dressed to the nines. Iowans like theirs super wide, garnished with mustard and pickle chips, lettuce, and tomato. 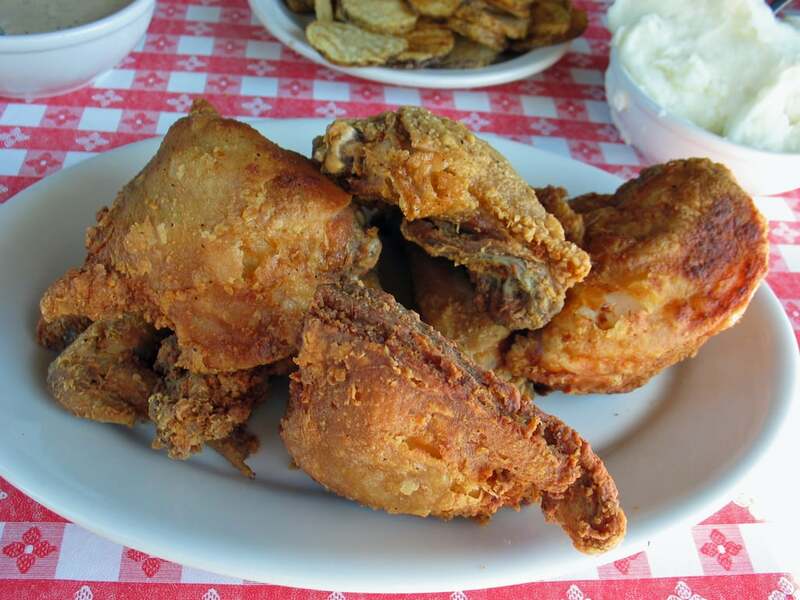 There is good fried chicken everywhere in the US, but Kansas fried chicken is something special. Skillet-fried pieces sport a fragile coat of gold that is noisy to crunch on and as rich as bacon. 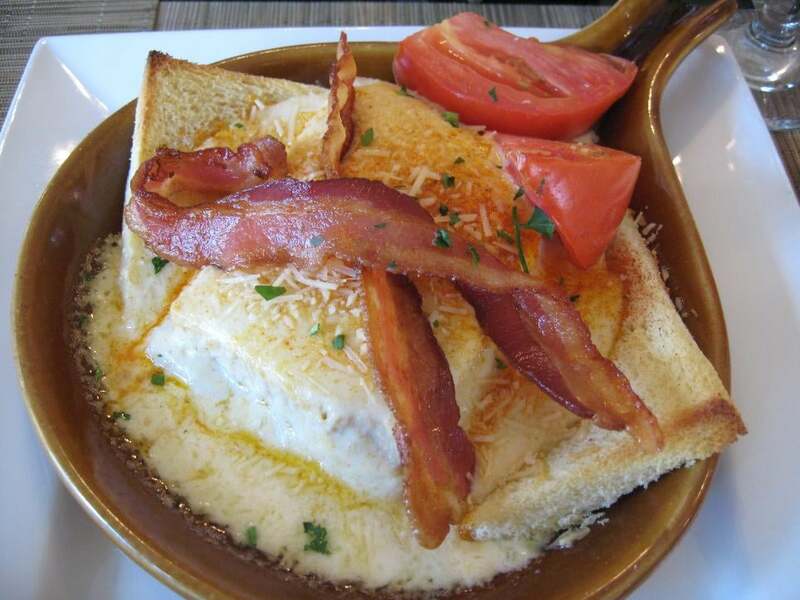 Invented at Louisville's Brown Hotel as a late-night meal for partiers, the Hot Brown is an open-face, knife-and-fork sandwich of sliced turkey on white toast topped with bubbling-hot Mornay sauce, parmesan cheese, bacon strips, and lengths of pimiento pepper. Nearly every Kentucky restaurant has its own version, ranging from vegetarian to crab meat. 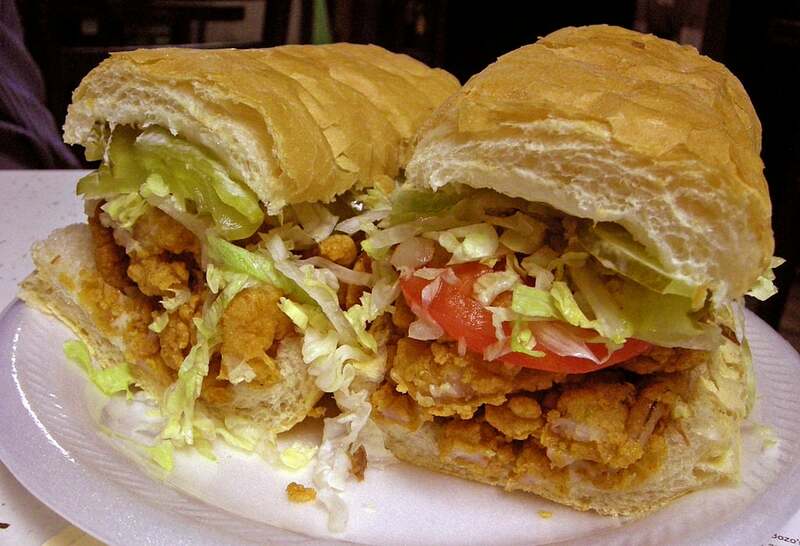 In the family of overstuffed sandwiches on lengths of horizontal-sliced bread, the Louisiana po' boy boasts the most diverse variations, its main ingredient ranging from roast beef to fried oysters (and sometimes both). Accoutered with lettuce, tomato, mayonnaise, and pickles on a crisp-crusted, lightweight loaf, it is as messy (and as delicious) as a sandwich can be. Pulled from the deepest, coldest waters of the Downeast coast, the best Maine lobsters fairly erupt from their shell when attacked with a nutcracker. 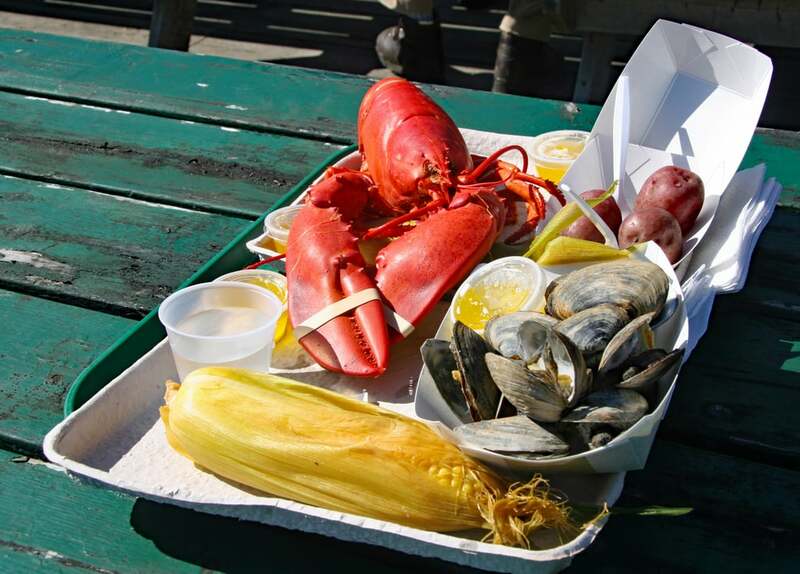 Side their sweet, pink meat with corn on the cob and steamers with broth and butter, and you have a regal summertime feast – preferably eaten at a waterside picnic table. 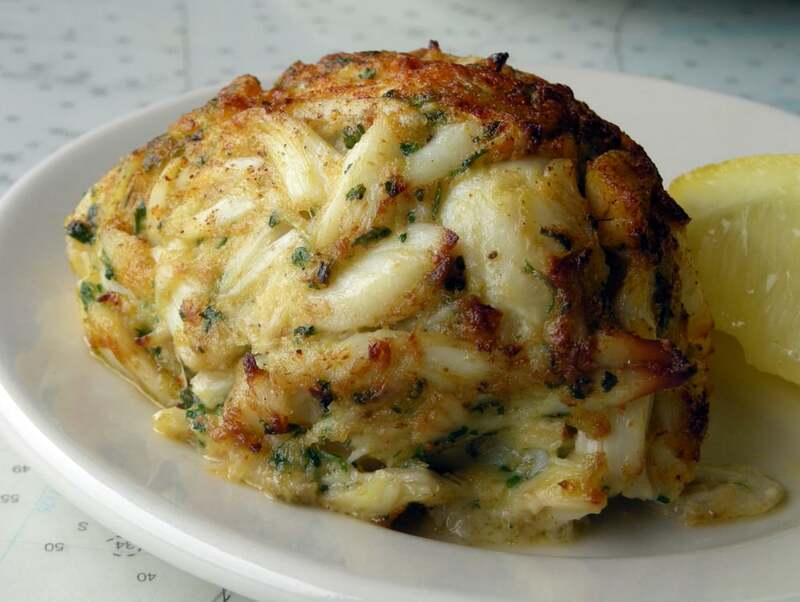 Along the shore of the Chesapeake Bay, crab cakes made with large, pearly hunks of meat and minimal filler are broiled just long enough for their surface to develop a gossamer gold crust. 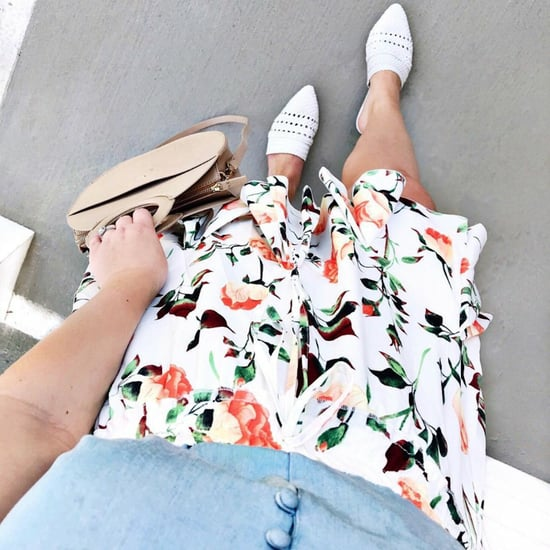 They can be as costly as filet mignon, and every bit as luxurious. 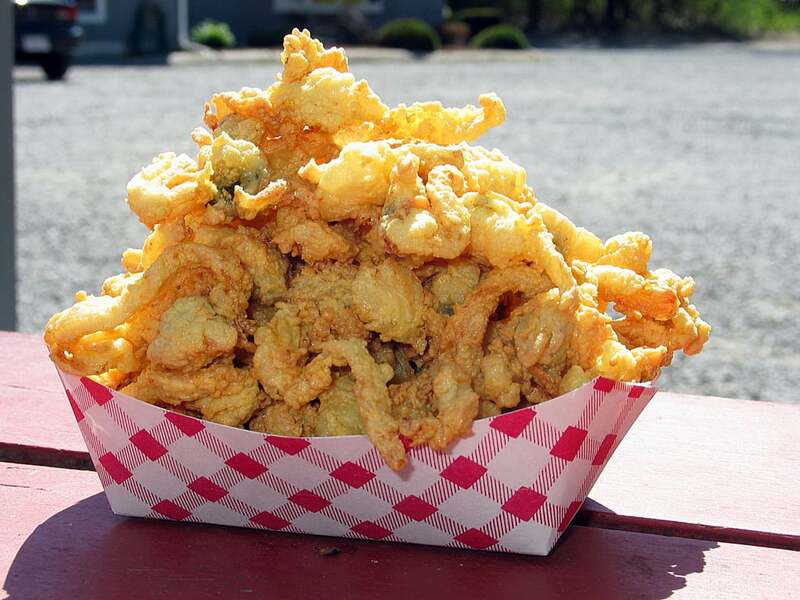 Clams hand-raked at low tide from beds in the Essex River on the North Shore of Massachusetts are breaded in cornmeal and fried in oil that traditionally is at least half lard. The result is a crusty, pale gold nugget big enough to be one greedy mouthful with the distinctive marine smack of a freshly opened mollusk. 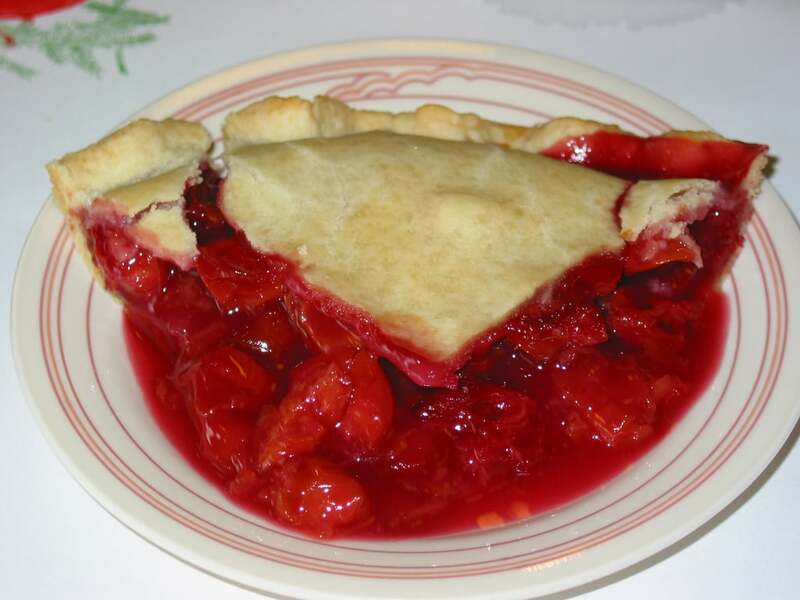 Michigan is famous for its tart cherries, and in the best Michigan cherry pies, the cherries' sweetness is only slightly more assertive than their tart punch. A savory lard crust completes the glorious farm-country package. 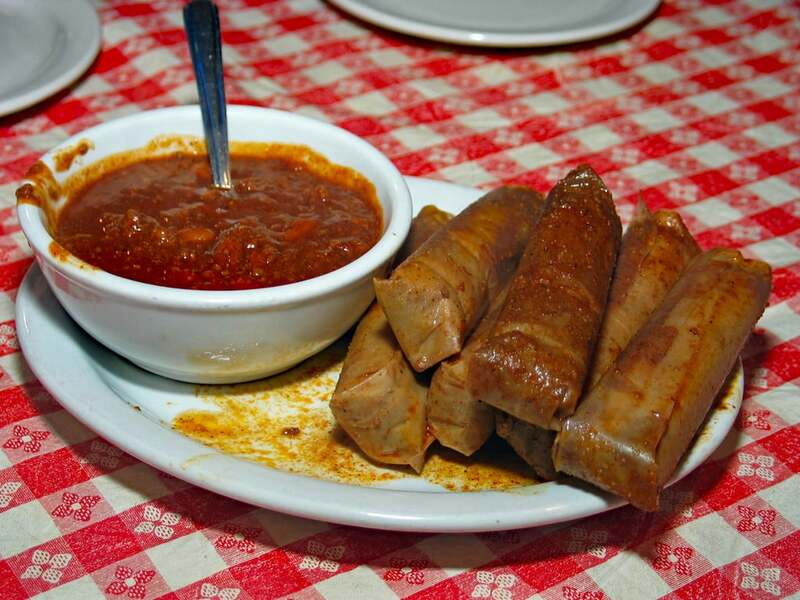 Minnesota's official State Fish boasts meat that is freshwater clean, fine and flaky, and not the least bit oily. It is served grilled or fried and, at the annual Minnesota Fair, on a stick for eating on the stroll. Yes, tamales in Mississippi. 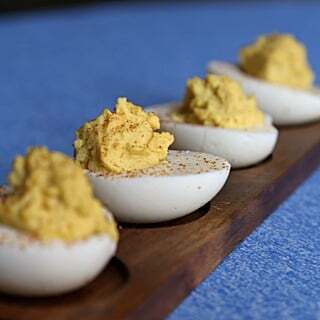 Throughout the Delta all along the river, shacks, cafes, and corner stands sell the spicy cornmeal tubes that are a legacy of Mexican farm workers whose recipes were taken up by African American sharecroppers. 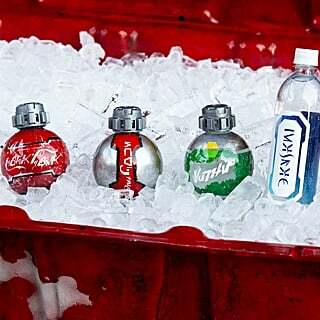 They're sold by the dozen, packed in coffee cans, and often accompany barbecued meals. 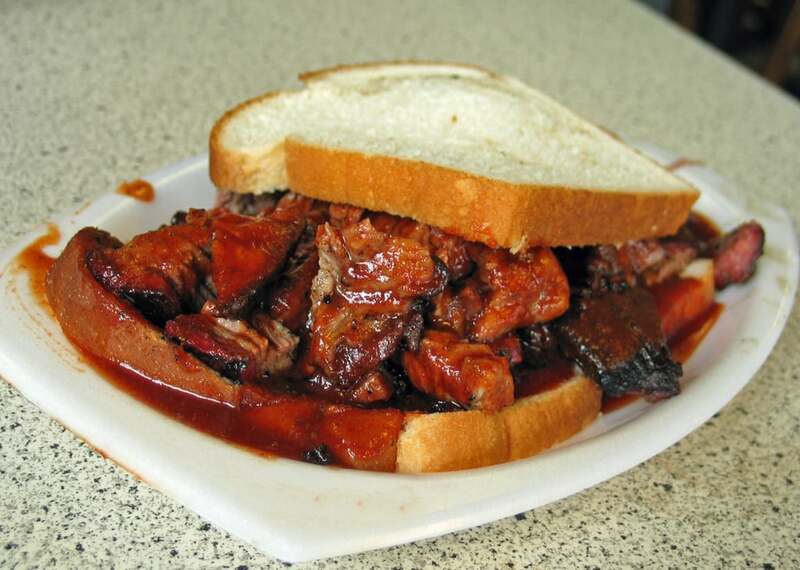 Burnt ends, aka brownies, are the shreds, nuggets, strips, and chunks of meat that fall off barbecued brisket (or pork) as it is sliced and chopped. Most are outside pieces with crusty-crunchy areas and thick ribbons of melt-in-the-mouth fat. They are to pit-cooked meat what clotted cream is to milk: the distilled essence, flush with wood smoke and oozy protein satisfaction. It makes sense that you'll find good steaks in cattle country. 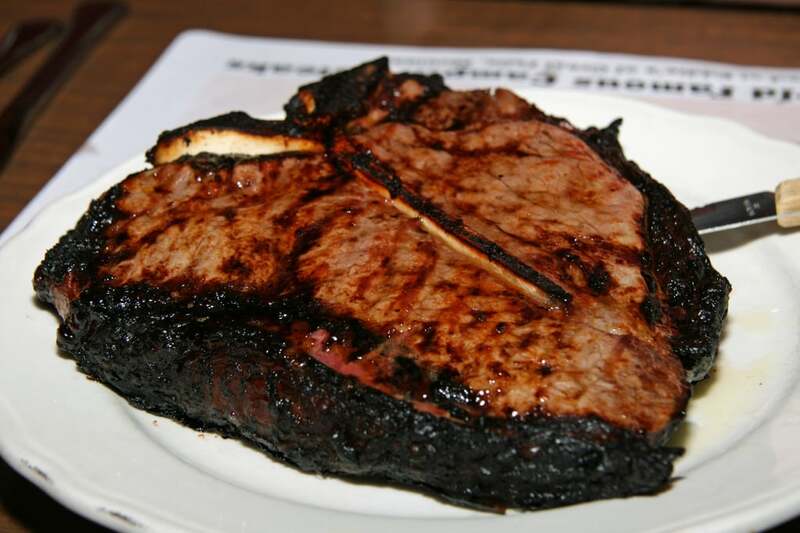 Montana's best are pillowy t-bones oozing juice, first marinated in wine that seeps into the meat, gives it a wicked tang, and helps the exterior develop a crunchy, caramelized crust. 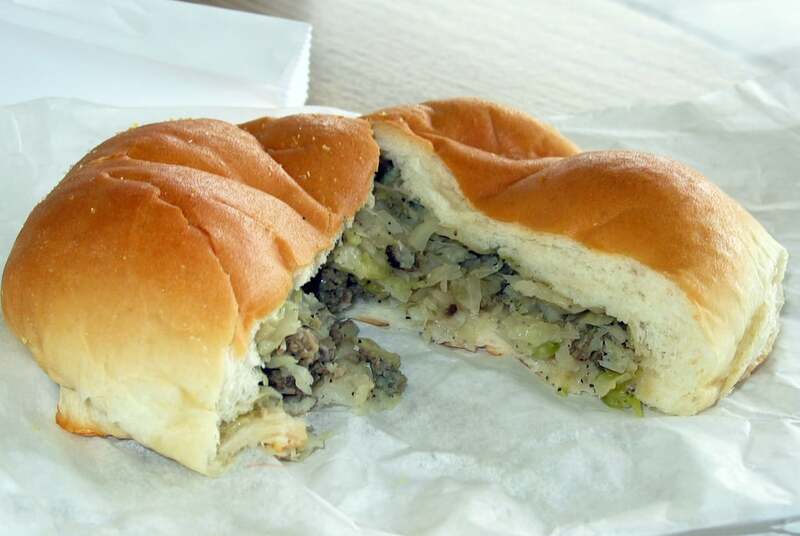 A legacy of Volga Germans who settled the heartland in the 19th century, the bierock is a baked yeast-dough bread pocket filled with ground beef, cabbage, and onions. The portable meals were a favorite lunch among farm workers, and today they are served at church suppers, fund-raisers, and cafes throughout Nebraska. The meal to eat in Northern Nevada is a Basque dinner hall feast: the multicourse extravaganza that dates back to the days when shepherds came into town for Saturday night supper. The focal point at many of these great feeds is lamb chops, homage to the flocks that the Basque shepherds tended. Maple hurricane sauce dates back to the hurricane of 1938, when restaurateur "Sugar Bill" Dexter found himself with a huge apple windfall that he didn't want to waste. So he boiled chunked apples in syrup until the fruit became al dente crescents saturated with maple flavor and the syrup thickened up good. The apple-maple punch packed by this stuff is breathtaking – a sensational topping for pancakes, waffles, french toast, or ice cream. 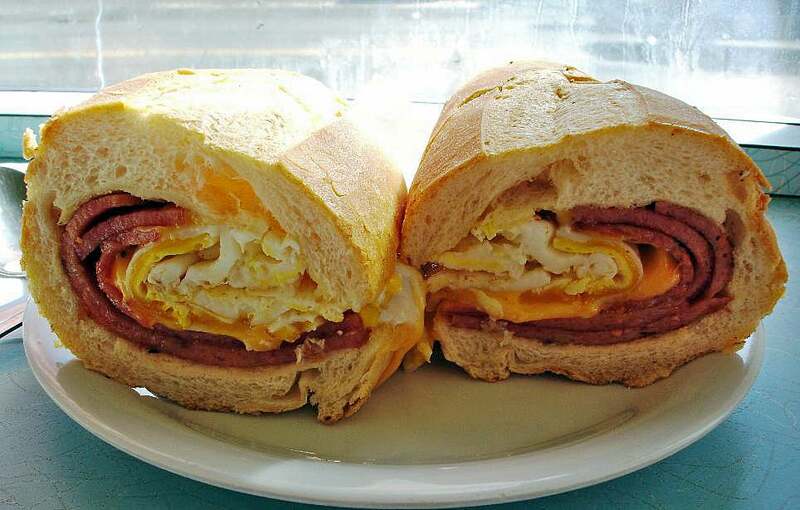 Sliced thin from a well-packed loaf and pan fried, pork roll is a Garden State passion used as breakfast meat in lieu of higher-on-the-hog options such as bacon, sausage, or ham. It gushes full fatty flavor when piled into a hard roll with egg and cheese, a configuration known in diner slang as a Triple Bypass. No one knows what genius first configured the green chile cheeseburger, a hamburger topped with hot chopped green chiles and cheese, but it has since become a signature dish of New Mexico. The combination of hot pepper, creamy cheese, and earthy beef is magnificent harmony. 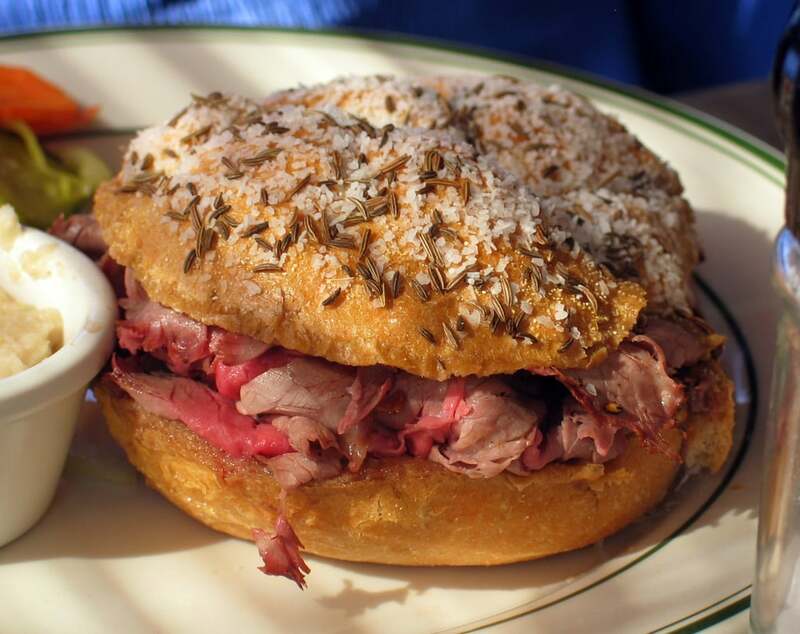 Buffalo's wings have gone national, but beef on weck remains a unique city sandwich that every meat-eating visitor needs to eat. The beef is hand-carved, the "weck" is short for the German word kummelweck, referring to the caraway seeds that combine with coarse salt that spangles the top of a tender, gravy-sopped roll. Please pass the horseradish! 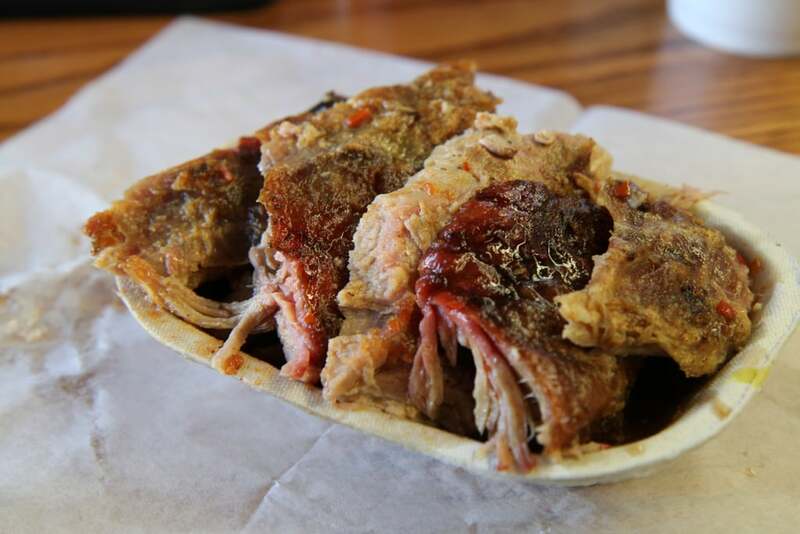 There are literally dozens of styles of barbecue across the wide state of North Carolina. Lexington-style is king: pork shoulders cooked over wood coals until fall-apart tender, dressed with minimal vinegar-based red sauce. Have a platter or sandwich, sliced or chopped, and ask for extra pieces of crunchy skin. 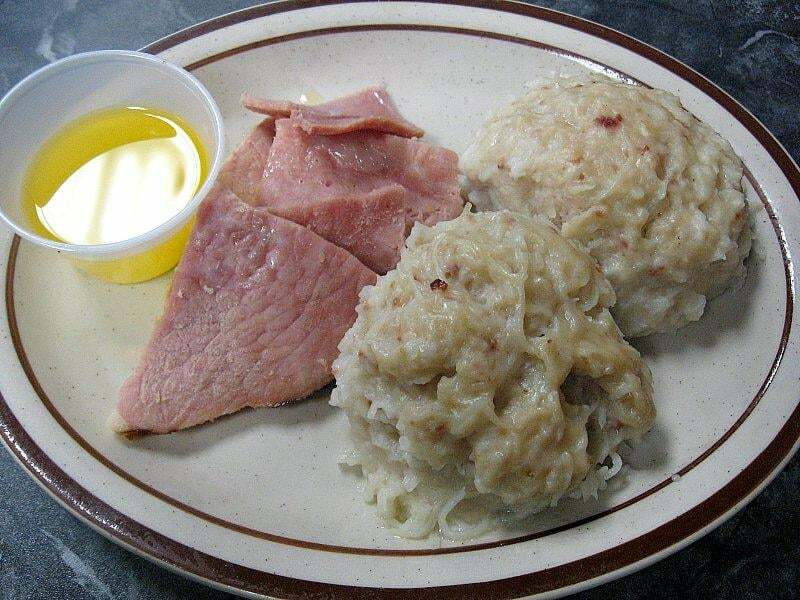 Klub are potato dumplings with Scandinavian ancestry that are hearty rib-stickers best accompanied by bacon or ham and a cup of melted butter to drizzle on. 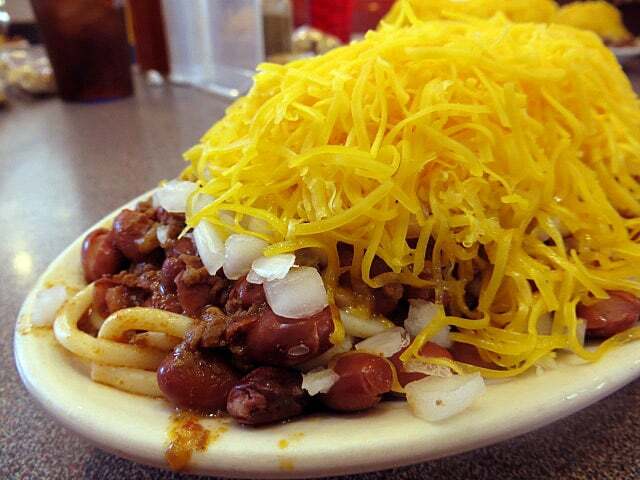 A Cincinnati Five-Way is a layered dish of spaghetti noodles, spicy-sweet (but not four-alarm) ground beef sauce, kidney beans, raw onions, and shredded yellow cheese. Every Cincinnatian has a favorite among the city's dozens of chili parlors. Sam’s Club Is Selling Giant Inflatable Trampolines, and Should I Put You Down For the Duck or Turtle? 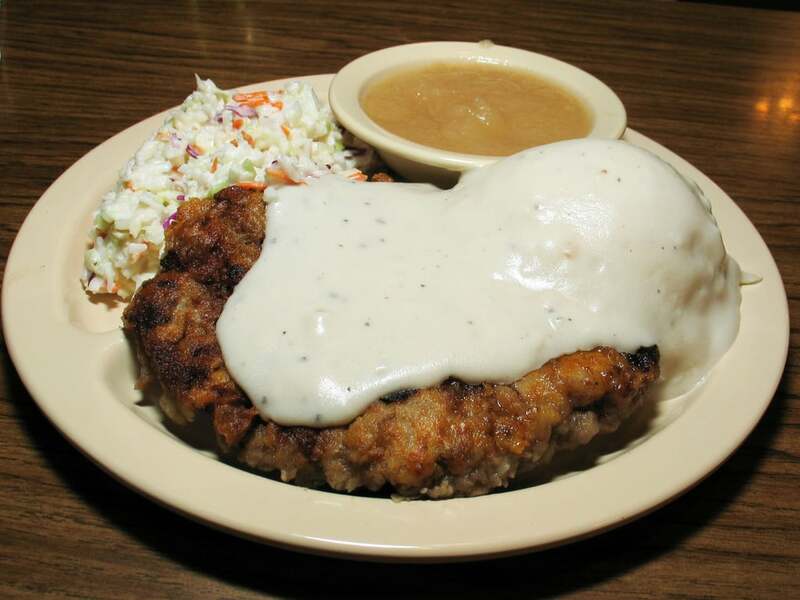 A slab of beef breaded and fried like chicken is all too often a diner disaster, but Oklahoma cafe cooks, especially those along old Route 66, tend to turn out beauties. The tender beef is encased in luscious crust and topped with peppery cream gravy. 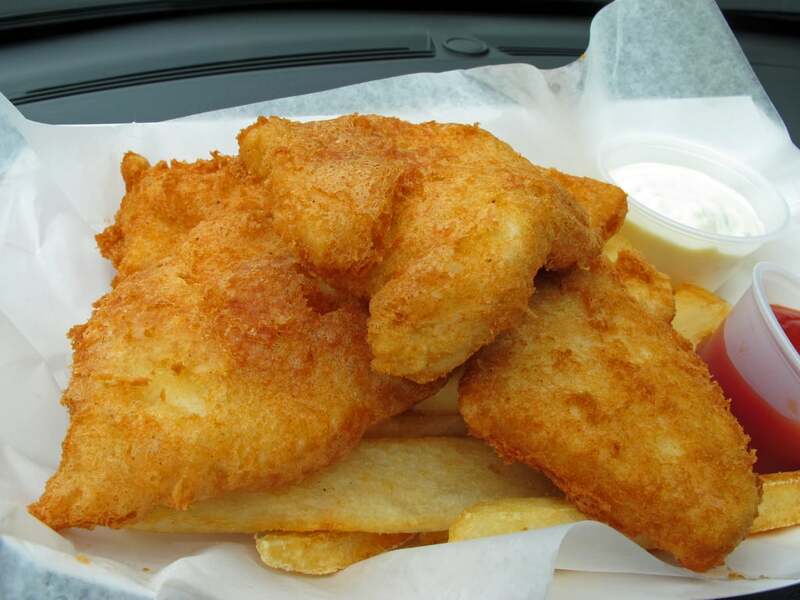 At seafood joints all along the Oregon coast, "fish and chips" is not just one thing. Fry-kettle chefs offer salmon, tuna, oysters, calamari, and best of all, snow-white, cream-fleshed halibut. With french fries or an onion-ring upgrade, it's one of the nation's great seafood meals. 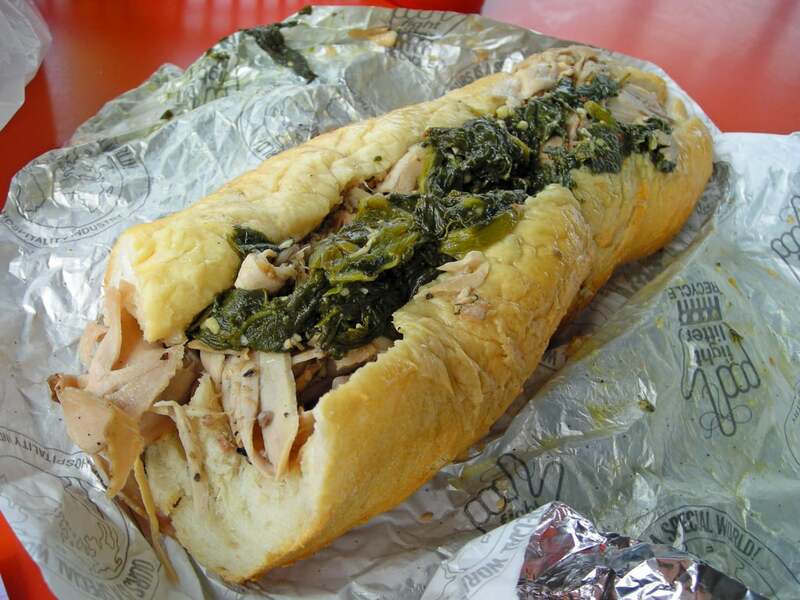 Everyone knows about Philly cheesesteaks, but a handful of city sandwich shops up the ante with a similar-looking but more deluxe roast pork sandwich: moist, sweet meat forked from a drippy trough and piled into a seeded roll, supplemented by clumps of spinach or broccoli rabe sautéed in olive oil with plenty of garlic. Forget cheese; here, it is only a distraction. 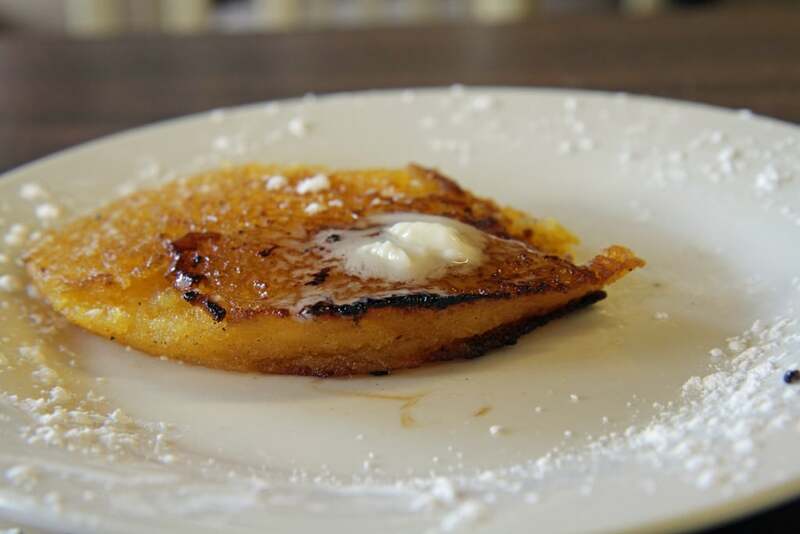 Johnnycakes are cornmeal pancakes made with flint corn meal. East of Narragansett Bay, they are plate-wide and flannel-thin with a lacy edge. West of the Bay in South County, extra-thick batter is poured onto the griddle in discs no wider than a coaster. These little cylinders cook long enough to develop a crunchy crust and earthy flavor that begs to be gilded with real maple syrup. 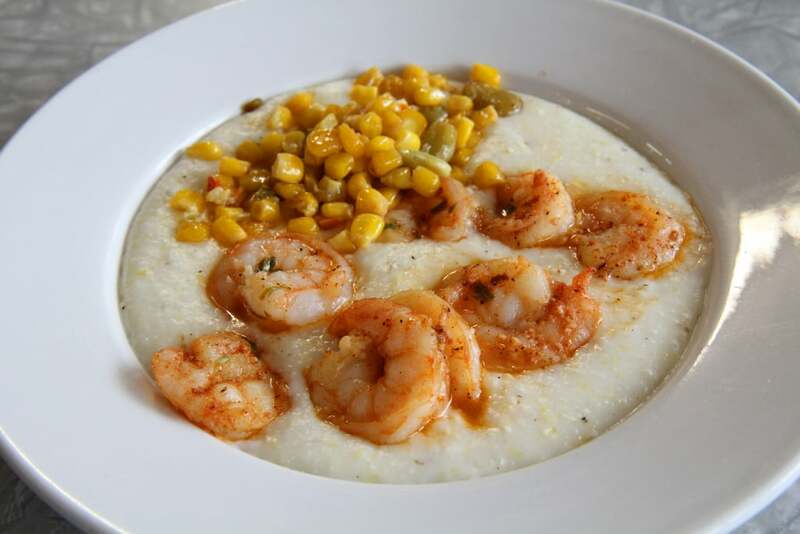 South Carolinians take grits seriously, using stone-ground cornmeal, butter, and milk or cream to create a slow-cooked, warm cereal that is delicious alone but better as the bed for a school of vividly spiced shrimp. This duet of spice and comfort is good to eat for breakfast, lunch, and dinner. 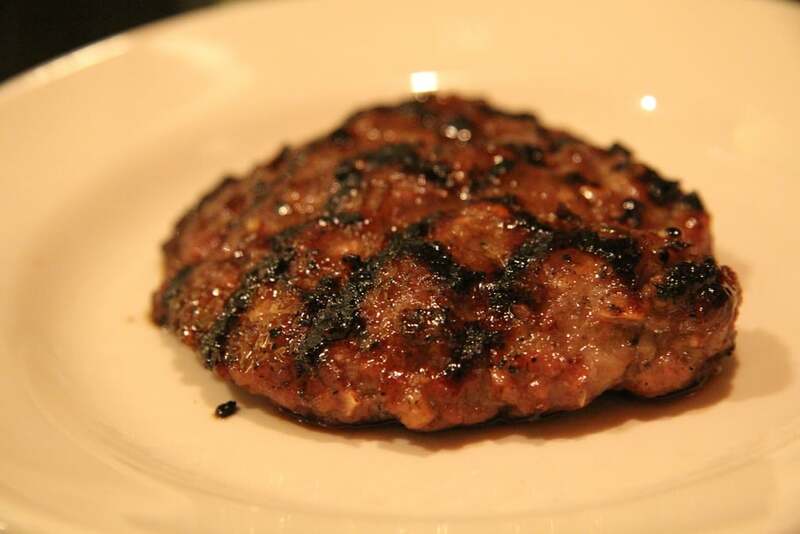 Bison meat makes good burgers and steaks, but even better sausage, where its sweeter flavor and more rugged texture is so well abetted by a kaleidoscope of spice. On the side of morning eggs, nothing is better. 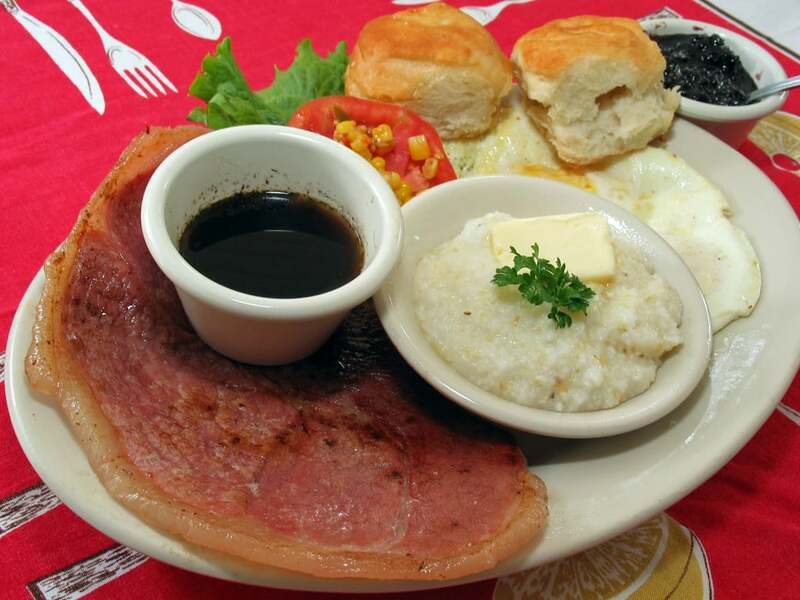 Many Southern states make a big deal of country ham as well as of biscuits. 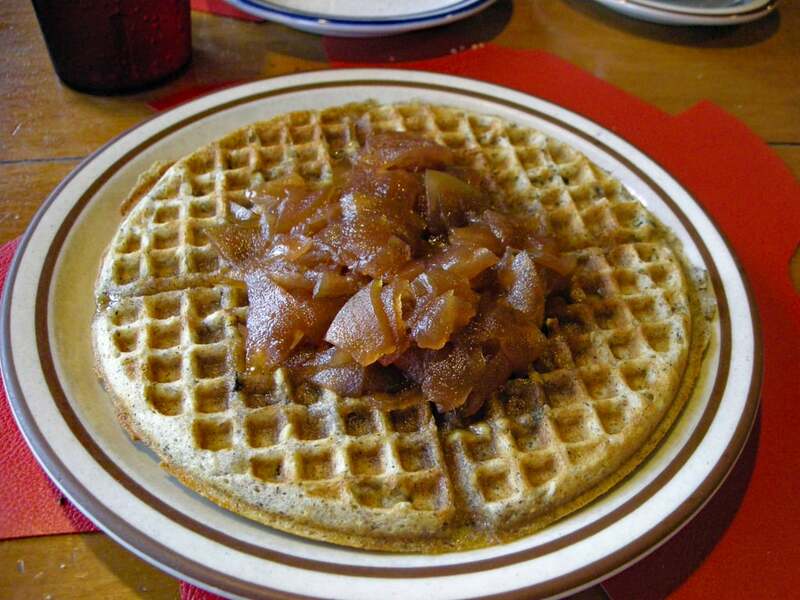 Nowhere are the two put together with more panache than in Tennessee, where the full presentation also includes red-eye gravy (ham drippings and black coffee), sorghum syrup, fruit preserves, and, of course, a couple of eggs. 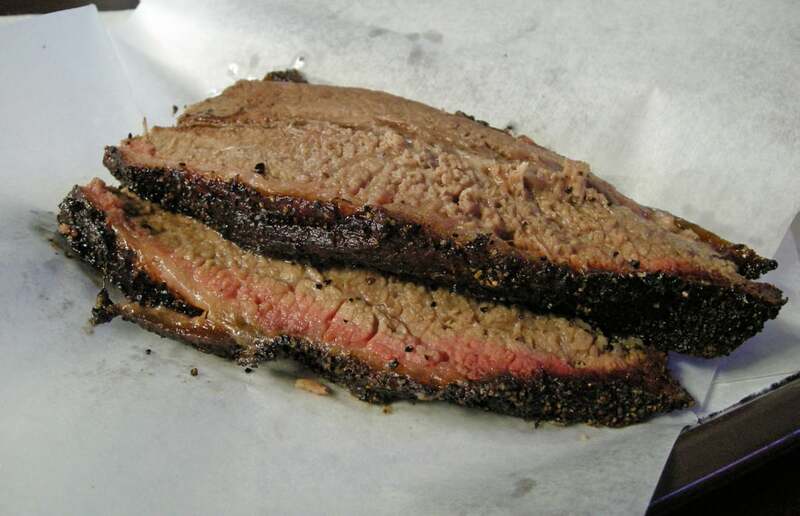 In Texas, beef rules; and as good as steak may be, brisket can be even more satisfying. As the inherently fatty cut of cow basks in the smoke of smoldering live oak wood for hours, its marbling melts and insinuates intense flavor into the meat, which becomes as tender as warm butter. 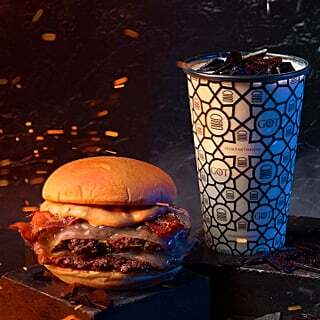 The exterior, blackened by all its time in the pit, has some crunch and an even more concentrated flavor; interior fibers that are still laced with fat literally melt on your tongue. Exactly why Utah's scone is called a scone is a mystery, since it is nothing like the dense Scottish quick bread that is a favorite coffee companion. It is a puffy, deep-fried pillow of sweet yeast dough that develops a slightly crisp skin around airy insides and is served hot from the kettle accompanied by a pitcher or squeeze bottle of honey. 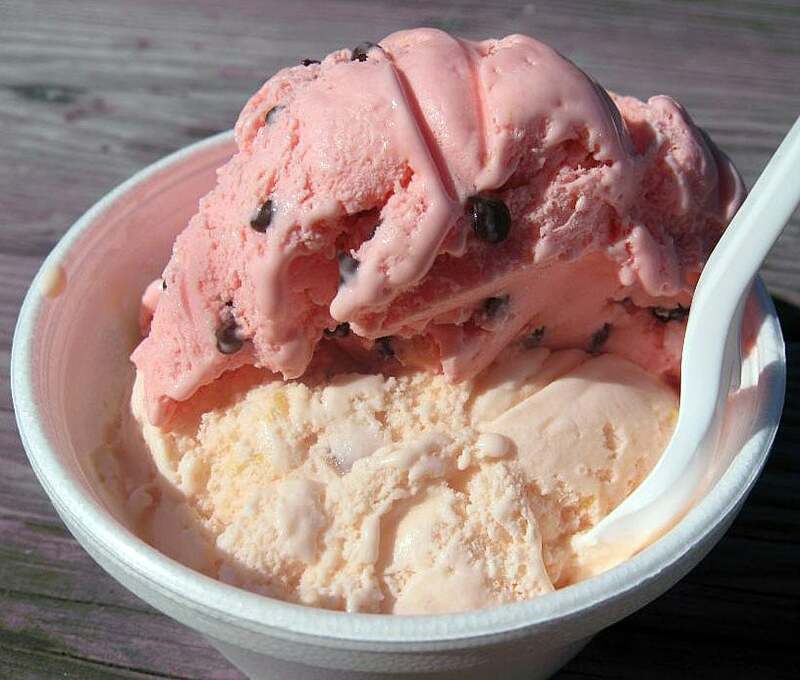 With its dairy-farm heritage, Vermont is a great ice cream state, a fact evident in the abundance of creemee shops up North. 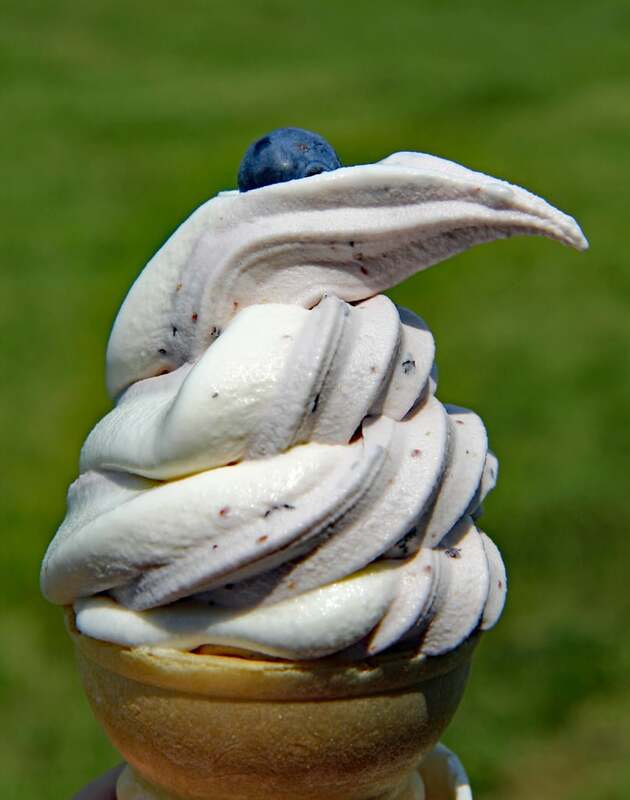 Creemees are high-quality soft-serve ice cream, the best of them infused with maple syrup or local berries and generally sold at Summer-only, picnic-style drive-ins. 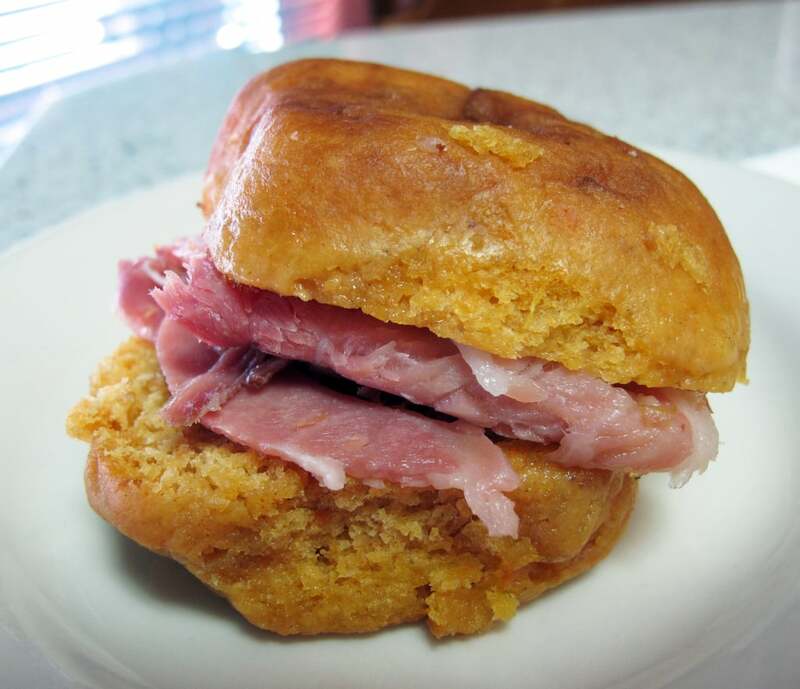 The sweet potato biscuit, warm and painfully tender, its soft orange earthiness a perfect foil for chewy pink ham, is a specialty of Virginia's Eastern Shore, where at least a half-dozen varieties of heirloom sweet potato thrive. 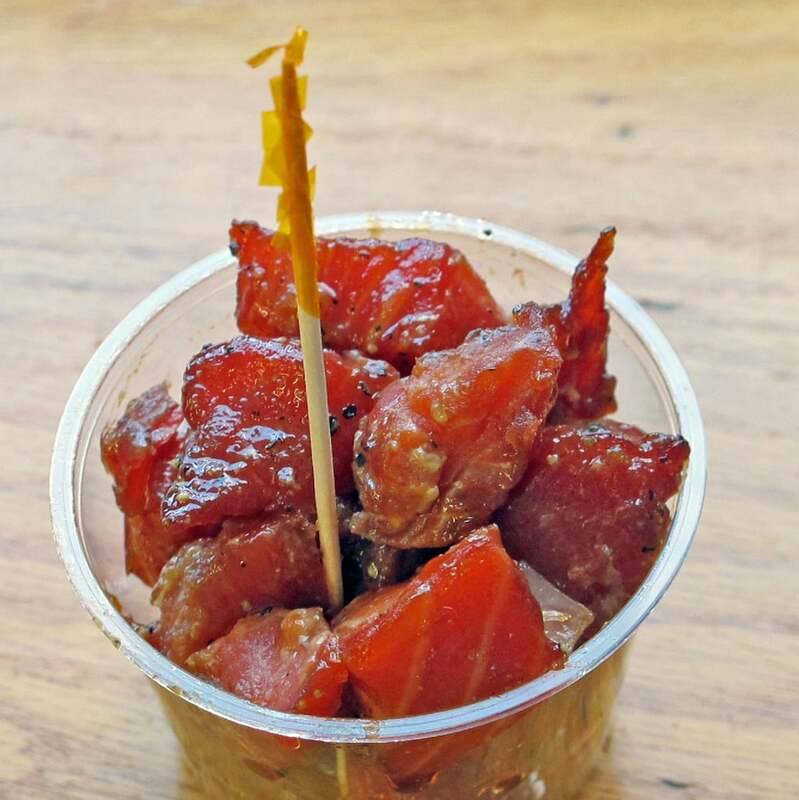 Smoked salmon cured in sugar and salt, salmon candy is paradoxically sweet and savory. It is a firm, moist snack that yields oceans of sugary salmon flavor as it's chewed. It is found in seafood shops all along the coast and in Seattle's Pike Place Market. 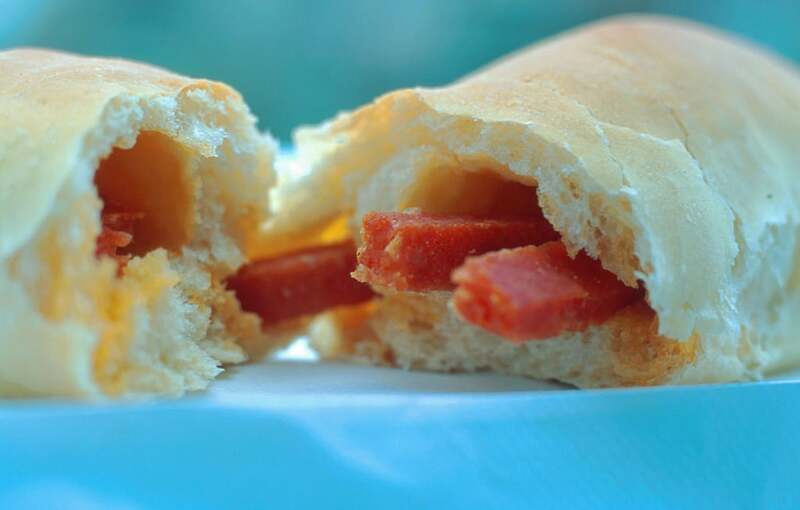 The simple formula of bread dough baked around a sheaf of pepperoni is a favorite dish of West Virginians who enjoy little portable versions as a snack and plate-size ones topped with cheese and sauce as supper. 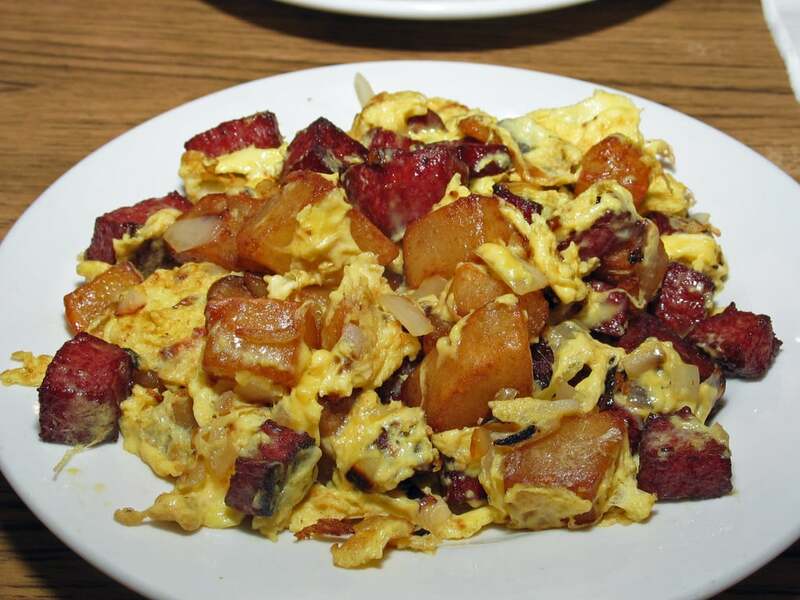 Hoppel Poppel is a higgledy-piggledy breakfast that starts as eggs scrambled with chunks of griddle-fried potato and salami (or bacon or ham) and can include peppers, mushrooms, and melty cheese. It's found more on home tables than in restaurants, but memorable versions are served in a handful of diners and cafes around Milwaukee. With 1 Universal Studios Hollywood Ticket From Costco, You Can Visit the Park 3 — Yes, 3 — Times! Wyoming, the Cowboy State, is a wonderful place to eat beef. 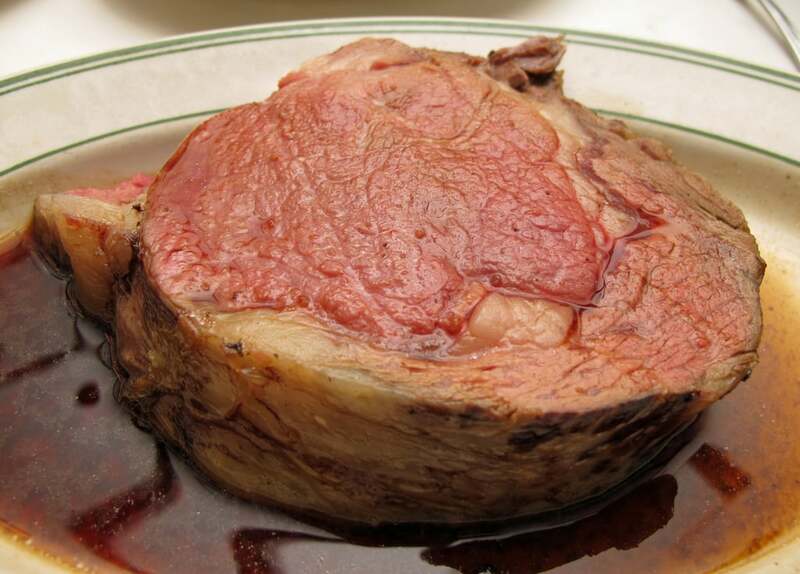 Rib-eyes and strips and filet mignon are good everywhere you go, but prime rib is always star of the show. 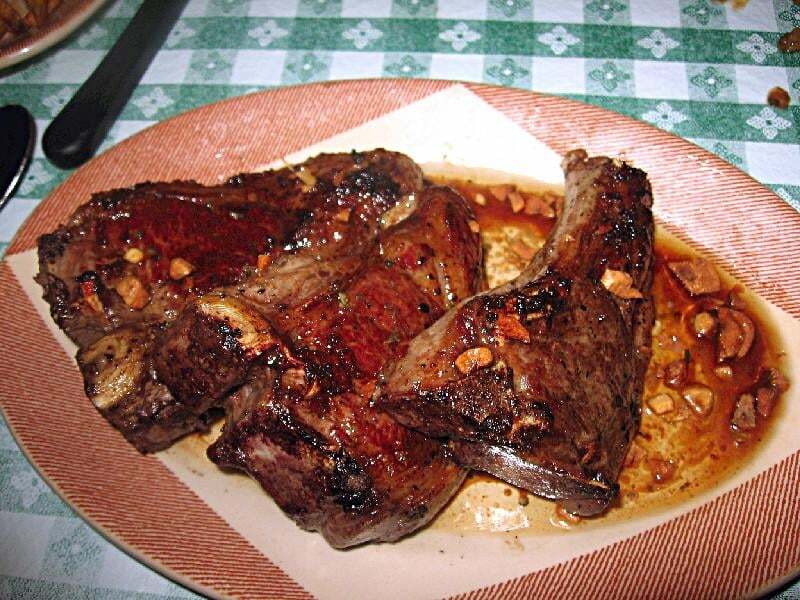 A full order in any of Wyoming's great steak houses is a great meat mesa rising three fingers tall.